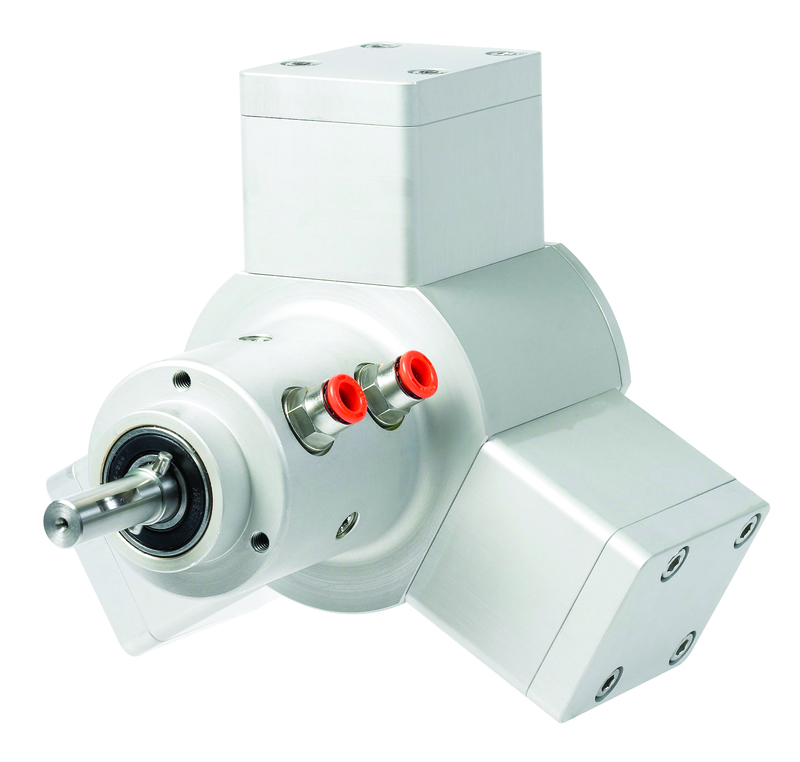 When you require a low-cost, efficient and reliable motor for applications in a sensitive environment, the Dynatork 3 air motor from Huco presents an ideal solution. Designed for efficient, spark-free operation, the motor offers simplicity and high performance even under harsh duty cycles. Affordable, compact and easy to maintain - such benefits have seen these air motors utilised in the wood, hydrocarbon, paper, paint, food processing and even stealth industries. The immediate benefit of selecting an air motor is that it offers spark-free operation without resorting to an expensive shielded ATEX-rated electric motor. In hazardous environments it's important to reduce the risk of sparks wherever possible, so specifying a motor that operates entirely on compressed air is the recommended and most cost effective solution. As a result, the Dynatork 3 air motor is compliant for use in ATEX Zone 1 applications. The motor incorporates innovative free-floating piston technology, which minimises air leakage past the piston. This ensures that the vast majority of the energy present in the compressed air is converted into motion, resulting in air consumption up to 80% less than an equivalent vane air motor. This of course translates into substantial energy savings for end users, even during heavy operation. The advantage of such construction is obvious during operations that require stop/start applications under load. If an AC or DC motor is held by a brake, the motor risks burnout within a very short timeframe. However, an air motor will simply stop and then seamlessly operate again when the brake is released. With no components that can be damaged, an air motor can be started, stopped and restarted with no debilitating effects upon the device itself. These properties mean that the motor can be utilised in indexing operations, offering precision and control of motion required for such applications. The motor is lightweight, allowing it to be moved easily for installation and maintenance work. Disconnecting the device from the air supply is also straightforward, minimising maintenance costs and reducing downtime. Furthermore, due to its small footprint, the Dynatork 3 air motor saves space within the application area, especially when compared to an electric alternative that may require a bulky gearbox, enclosure or variable speed drive. The motor can be specified in aluminium, stainless steel or acetal versions. Stainless steel or acetal housings are particularly suited to environments where regular wash-downs are required, with its high resistance to caustic acids and chlorinated sanitisers, acetal is perfectly adapted for use in food and beverage processing.